The price of gas continues to fall. Three weeks ago I noted that gas was at $2.99 in Colum- bus and Red Lodge, and speculated on what falling oil prices might mean to oil drilling along the Beartooth Front. Today the price of gas in Red Lodge is down to $2.77, and the price of oil on international markets has plummeted to about $70 a barrel, down over 40% in five months. Let’s look at why this is happening from an international perspective, and consider what this continued decline in oil prices might mean to the possibility of expanded drilling in Carbon and Stillwater Counties. A decade ago oil was about $40 a barrel, but prices begin to increase sharply because of increases in global demand, particularly from China, where industrialization and economic growth were increasing quickly. 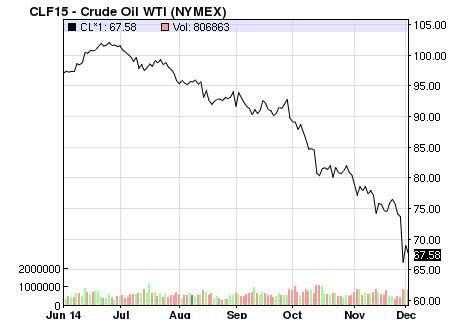 This increase in demand caused oil prices to spike. Prices rose to about $100 per barrel and held there from about 2011 to 2014. At that price it became very profitable to start extracting oil from places where production costs were higher. 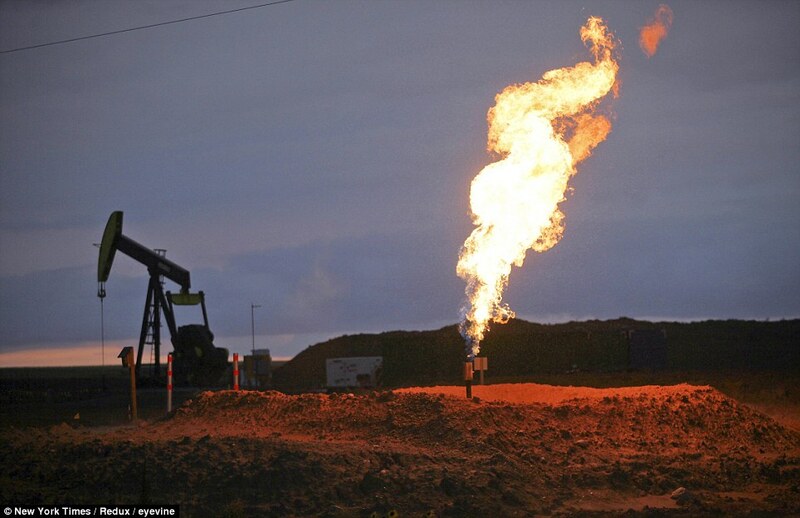 This led to fracking and horizontal drilling in the shale fields of North Dakota and Texas. The increase in production in the United States was dramatic – about four million barrels of crude a day since 2008, on a base of 75 million per day worldwide. This increase in supply did not lead to a corresponding drop in price, because at the same time the supply from other oil producing areas declined due to political conflicts: the civil war in Libya, the continued unrest in Iraq, sanctions on Iran by the US and Europe. These conflicts reduced oil production from the rest of the world by about three million barrels a day. The market share for US oil increased, but overall global production stayed about the same. Things began to change this fall. Global political disruptions began to ease, particularly in Libya. Demand for oil in China, Japan, Germany and elsewhere in Asia and Europe began to decline. With demand weaker and an increasing supply, oil prices began to drop from a high of $115 per barrel in June to $80 in mid-November. In the last two weeks prices have plummeted to about $70 today. The most recent decline was caused by a meeting of the Organization of Petroleum Exporting Countries (OPEC) on November 27. OPEC is a cartel that produces 40% of the world’s oil. The sheer size of the organization and the willingness of its member countries to expand or contract production in unison gives it tremendous power over oil prices. At the November meeting OPEC members were split on what course of action to take. Venezuela and Iran tried to convince membership to cut back on production to increase the price of oil. Saudi Arabia opposed cutbacks because it feared loss of market share. The compromise was to leave production unchanged. “We will produce 30 million barrels a day for the next 6 months, and we will watch to see how the market behaves,” said OPEC Secretary-General Abdalla El-Badri after the meeting. The impact on oil production in the United States is not easy to determine. According to the International Energy Agency, about 4 percent of US shale projects need a price higher than $80 per barrel to stay afloat. But many projects in North Dakota’s Bakken formation are profitable so long as prices are above $42 per barrel, or as low as $28 in McKenzie County. However, as has often been said, the Beartooth Front is not the Bakken. Production in Belfry and Roscoe is not expected to match the rich reserves in the Bakken Shale, which means that at $70 a barrel there is no real incentive for Energy Corporation of America (ECA) to rush to pull oil out of the ground. In the short term, low oil prices will probably slow down ECA and its plans to “bring a little bit of the Bakken” to the Beartooths. In the longer term, it’s anyone’s guess. The world is a complex place. There are many levers that influence the price of oil: economic growth in Europe and Asia may continue to slow demand, geopolitical conflicts may increase or not, and OPEC may decide to cut production to prop up prices. For people who care about the future of the Beartooth Front, the low price of oil creates an opportunity to work with County Commissioners to put regulation in place to make sure that when economic conditions make it profitable to pull oil out of the ground it is done in a way that protects the long-term future of the area. This entry was posted in Bakken, Fracking Information and tagged Bakken, Energy Corporation of America, gas prices, oil prices, OPEC, price per barrel, Shale Boom. Bookmark the permalink. Very interesting analysis! Thank you for all the time you put into keeping us up on the latest oil and gas information. Thanks for the kind words. The macroeconomic climate can be as important as geology in determining where drilling occurs. What a great analysis and summary. And, David, thanks again for sharing some of your many gifts (e.g. intelligence and time) with this all-important blog! It is making a difference. Thanks Dennis. Much work to be done. Well done on analysis but vigilance essential and don’t give up on zoning, oversight, due diligence citzens, you can do it!